It’s that time of the year… prediction season for the upcoming 2017-18 Montreal Canadiens campaign. While the Canadiens have improved in some areas this past summer, their defense is a big question mark. 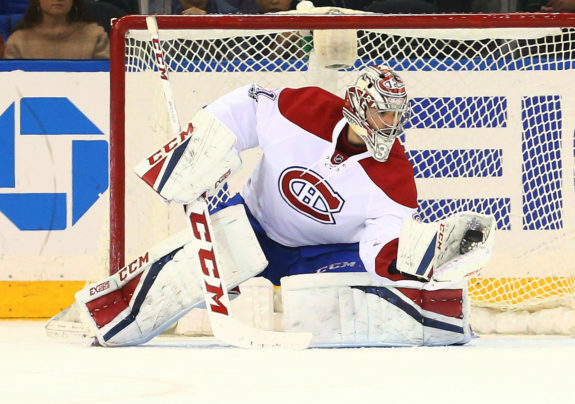 Goaltender Carey Price remains the team’s focal point, but without a mobile blue line to transition from out of the defensive zone, will the upgrades on offense be enough to offset the Habs’ defensive shortcomings? Probably. 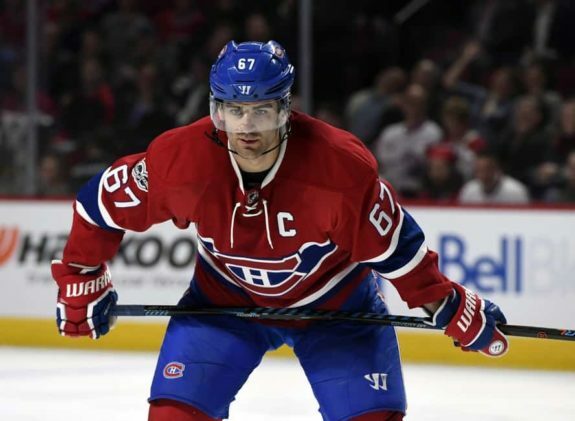 At the forefront of that attack will be captain Max Pacioretty, who has been a consistent 30-plus goal-scorer. In fact, he’s flirted with 40 a few times. Will this be the season he finally hits that elusive high-water mark? Considering this specific prediction seems to be made year after year, hopefully. Even a broken clock has the benefit of being right twice in the day. So, what makes this year different? Well, Pacioretty will be playing with an elite playmaking talent at center, probably through thick and thin, in Jonathan Drouin. General manager Marc Bergevin has hitched his ride to the Jonathan Drouin express. 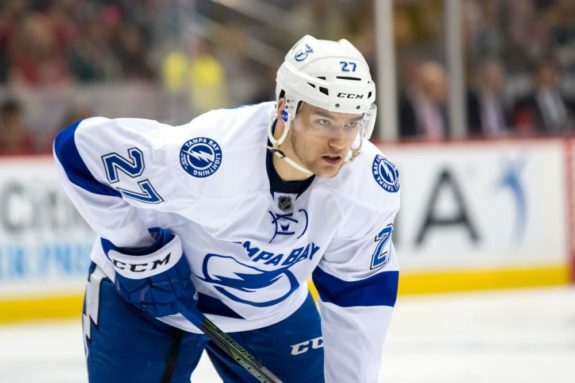 That much was made clear when it was declared at the team’s annual golf tournament that Drouin, in spite of scarce experience at the position up to now at the NHL level, will be tried out at center. The official party line is the Habs will be “experimenting” with Drouin at the position. Still, when you make a point of telling everyone at the same event that the next-best option to play down the middle can’t handle the defensive side of the role, you’re kind of putting all your eggs in one basket. Alex Galchenyuk has been exiled to the wing as a result. In fact, you’re pretty much cracking those eggs open and cooking them over easy as we speak. Experimenting is this instance is clearly politically correct code for: “Drouin is the team’s No. 1 center, point finale.” Regardless of how it turns out, that’s how it has to be, because Bergevin burned a significant bridge acquiring him, sending blue-chipper Mikhail Sergachev the other way to the Tampa Bay Lightning. Sergachev filled a pressing need. Drouin, as a winger, does not. That’s why we’re talking about Drouin the center right now. Drouin is a great talent and there’s little doubt he’ll be given every opportunity to succeed and will likely take advantage in the offensive zone. He was drafted at No. 3 overall for a reason. He’s coming off a 53-point season as a 21-year-old. Now 22, he’s entering his peak years. He’s not a generational talent, but he is a legitimate top-line one, so there’s every reason to believe he’ll hit new career-highs under his hometown spotlight. On the other side of the puck, though? He probably won’t have nearly as much success. Lightning head coach Jon Cooper had an issue with his defensive play, and that led to him rarely lining up down the middle. Cooper, asked about @jodrouin27, he said, "There is more than one net in a rink. There's two. You have to be able to play in front of both"
Take comfort in this fact, though: No one was complaining about Galchenyuk’s defense for the first quarter of last season when he was producing at a point-per-game pace. Kind of makes you wonder, doesn’t it? What does Drouin have that Galchenyuk doesn’t? Aside from a French last name, that is? Fresh off signing a cost-effective, $14.7 million three-year deal, Galchenyuk is slated to become an unrestricted free agent in 2020. The good news is there’s a good chance that will be another team’s problem. Care to guess what the bad news is? As has been previously established (argued), Drouin is likely the Habs’ No. 1 center from this point forward. With Phillip Danault’s break-out season last year, he’s probably capable of centering the second line. With as much depth on the wing as the Habs have, they can unfortunately afford to trade Galchenyuk for help where they need it the most: at center. Kidding. With 19-year-old Victor Mete currently trying out as Shea Weber’s top-pairing defense partner, the Habs are kind of in dire straits at that one position, to say the least. While Mete has been impressive, it’s kind of a lot to ask of a 5’10”, 180-pound fourth-round pick from just a few years ago to step in and withstand the rigors of the NHL. That’s if he even makes the team. Considering the ultra-conservative nature of Habs’ management, it’s highly unlikely they don’t eventually send Mete back down to junior. Galchenyuk may have made the team as an 18-year-old back in 2012-13, but that was as a winger… on the third line. Remember, Bergevin has supposed doubts about his defensive game right now. Forcing a 19-year-old defenseman into the fire right away as a No. 2 may not be the best idea in his or most minds. So, place your bets on how long it takes for Galchenyuk to be shopped for that missing No. 2 defenseman (the one not named Andrei Markov; He’s not missing… he’s in Russia). Chances are good it’s this season. With Price in nets and a host of offensive weapons on either wing, the Habs are undeniably a playoff team. Sure, beyond Weber the team’s defense is questionable, but the division-rival Toronto Maple Leafs, whom many see as Stanley Cup contenders, theoretically don’t even have a No. 1 defenseman at all. So, Habs fans should count their blessings there. Really, it’s clear that the Habs match up better against the Lightning, who have a similarly structured defense, with Victor Hedman poised to contend for the Norris Memorial Trophy and not much else (besides Anton Stralman and maybe Sergachev). The edge between the two teams will likely be determined by their relative strength down the middle and (a healthy) Steven Stamkos trumps Drouin… no contest. Bergevin should have spent the weeks after the team’s first-round defeat to the New York Rangers last spring trying to figure out how to avoid that same fate moving forward. He came up with a whole lot of nothing. Worse in some cases. The defense is completely revamped, despite the Habs having just finished fourth in terms of goals against and in the top third in terms of shots against. Instead of placing a premium on puck-movers, Bergevin went the other way, signing guys like Karl Alzner and Mark Streit who can barely move themselves. He also let Markov walk away, despite him fitting on that top pairing like a glove, reportedly saying he was interested in re-signing the defenseman, but only in late September or early October. Speculation ran rampant that Bergevin had something major planned, but here we are and no big moves have come to fruition. "I was ready to stay in Montreal, I was ready and willing to sign a one-year deal. It didn't work" – Andrei Markov. Boom goes the dynamite. It’s like he bluffed without holding a single card. While Drouin will probably sufficiently replace the offense lost when Alexander Radulov decided to leave for the Dallas Stars, it’s clear that Bergevin initially had his sights set on keeping the latter in the fold too. So what might have been a high-octane offense is probably closer to the status quo than anyone within the organization would like to admit, and it’s not like there’s anyone of note on the back-end who can consistently get it the puck. As such, the Habs may actually find themselves in a bigger hole offensively in the playoffs after scoring less than twice per game against the Rangers. It comes down to Price. Will he be able to allow fewer than that? He and Weber are bona-fide superstars in their own end, but they’ll each be one year older and at the tail-end of a long season. It’s hard to see them coming through then when they couldn’t just a few months ago, playing behind a superior team on paper. Assuming that hypothetical first-round defeat materializes, questions will undoubtedly surround Bergevin’s future with the organization (if not before). This will be his sixth season as GM, and they’ll have taken significant steps back essentially every year since reaching the Eastern Conference Final in 2013-14. 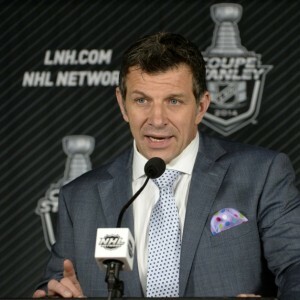 Will he be fired if the Habs fails to improve once more? Geoff Molson may own the Habs, but they’re the city’s team and Montreal deserves a winner. This won’t be the season. That much is clear, but Bergevin’s fate is tied not to how badly the team does. It’s instead to how the fans take how badly the team does. Some things aren’t so much predicted as dictated by fan reaction. It’s arguably up to them.